Cerebrovascular disorders are one of the leading causes of disability and mortality. The lifetime risk of developing stroke is one in five for women and one in six for men and increases with advancing age. There is a global increase in the life expectancy including India resulting in exponential age-related increase in the stroke incidence is a major public health challenge. The goals of stroke therapy are prevention, restoration, and rehabilitation. Modifiable risk factors including behavioral (smoking, diet, and sedentary lifestyle), metabolic (hypertension, obesity, hyperlipidemia, etc. ), and environmental factors contribute to the stroke burden. The prevention of stroke is more rewarding than treating a patient with acute stroke. Easily achievable measures such as control of hypertension, hyperlipidemia, and smoking cessation go a long way in reducing the stroke incidence. Developing countries with limited resources including India harbor the largest proportion of the stroke patients due to the bigger share of the world population. While the incidence of stroke in India was earlier reported to be less than the developed countries, recent epidemiological studies have demonstrated that incidence and prevalence are similar., The number of qualified neurologists available in India and other developing countries to manage the patients with stroke and other neurological disorders is very low. There are about 1200 neurologists in India with approximately one neurologist for every million population, and their numbers are grossly insufficient for delivering neurological care including that for stroke., Specialized neurological care is available only in the urban areas. Transient ischemic attacks, the heralding signs of the cerebral ischemia are often ignored by the patient due to the “minor” and transient nature of the symptoms. Even when the patient seeks medical attention, these episodes may be ignored or misdiagnosed as nonneurological events by the practitioner. These episodes require emergency evaluation and management as the incidence of major infarction is the highest in the 1st month. Lack of awareness about symptoms of stroke among the people may delay in seeking medical attention. For patients to be eligible for the medical revascularization, they need to reach a “stroke–ready hospital” or hospital with established “stroke unit” early enough. Interval from entry of the patient to the emergency department and starting of the IV-tPA infusion (door-to-needle time) can be shortened if the patient directly comes to the “stroke–ready hospital” which has a round-the-clock availability for cerebral imaging and stroke team. Shorter door-to-needle time is one of the major determinants of good outcome in medical revascularization. Stroke units offer multidisciplinary approach involving neurologists, intensivists, stroke physicians, stroke nurses, physiotherapists, speech therapists, and occupational therapists striving to provide a cohesive and organized care of the patients with stroke. A number of stroke–ready hospitals and those with dedicated stroke units are very few in India, and there is an urgent need to have more number of stroke units available within the reach of majority of the population. Lack of imaging facilities, unavailability, and high cost of thrombolytic agent are the major hurdles in the effective management of acute ischemic stroke. Incomplete recanalization of occluded arteries with IV-tPA led to intra-arterial tPA infusion and subsequently use of mechanical thrombectomy trials. Mechanical thrombectomy has the advantage of longer window period and has shown superiority over IV-tPA alone. However, availability of endovascular therapies is limited to larger hospitals in metropolitan cities due to the limited number of trained personnel and the required infrastructure. There is rampant malpractice by the unqualified and self-styled stroke specialists distributed throughout the country misguiding and mismanaging patients with stroke. The myths and lack of education about symptoms of stroke, nihilistic attitude by the patient, and caregivers about stroke recovery are an alarming challenge to the physicians and neurologists. Many patients from rural and urban background travel long distances to alternative medical system care and often subjected to unscientific combination therapies with the combination of allopathic and alternative medications. There is an urgent need for the medical fraternity to collectively address the situation to form strategies to improve the stroke care in India. Seshadri S, Beiser A, Kelly-Hayes M, Kase CS, Au R, Kannel WB, et al. The lifetime risk of stroke: Estimates from the Framingham study. Stroke 2006;37:345-50. Feigin VL, Roth GA, Naghavi M, Parmar P, Krishnamurthi R, Chugh S, et al. Global Burden of Diseases, Injuries and Risk Factors Study 2013 and Stroke Experts Writing Group. Global burden of stroke and risk factors in 188 countries, during 1990-2013: A systematic analysis for the Global Burden of Study 2013. Lancet Neurol 2016;15:913-24. Banerjee TK, Das SK. Epidemiology of stroke in India. Neurol Asia 2006;11:1-4. Pandian JD, Suhan P. Stroke epidemiology and stroke care services in India. J Stroke 2013;15:123-34. Pandey S. Challenges in neurological practice in developing countries. 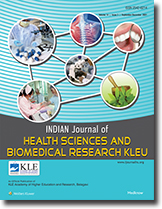 Indian J Public Health 2012;56:227-30. Mishra NK, Khadilkar SV. Stroke program for India. Ann Indian Acad Neurol 2010;13:28-32. Jauch EC, Saver JL, Adams HP, Bruno A, Connors JJ, Demaerschalk BM, et al. Guidelines for the early management of patients with acute ischemic stroke: A guideline for healthcare professionals from the American Heart Association/American Stroke Association. Stoke 2013;44:370-947. Prasad K, Kaul S, Padma MV, Gorthi SP, Khurana D, Bakshi A. Stroke management. Ann Indian Acad Neurol 2011;14:82-96. Rodrigues FB, Neves JB, Caldeira D, Ferro JM, Ferreira JJ, Costa J. Endovascular treatment versus medical care alone for ischaemic stroke: Systematic review and meta-analysis. Br Med J 2016;353:i1754.